We’re here for one-stop-fitness festivals, and you should be too. Sampling a couple different workout classes all in one day followed up by free snacks and a beer sounds like a Saturday well-spent, don’t you think? 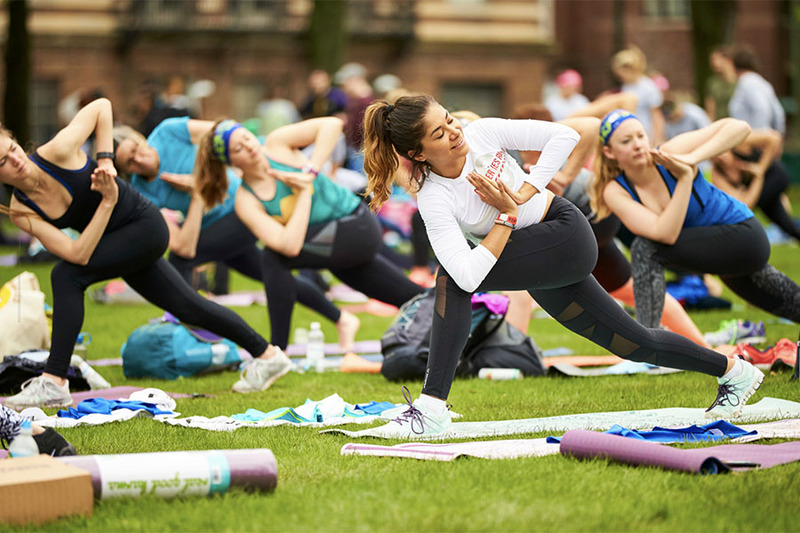 On September 29, join the Jimmy Fund and Reebok at the shiny new Reebok Headquarters for the Jimmy Fund Fit Fest, a half-day fitness festival featuring everything from CrossFit to yoga, as well as Harpoon Brewery beer and complimentary food. There is a $10 registration fee, and participants are expected to raise a minimum of $200. All the money raised goes to cancer research and care at Dana-Farber. But participants have until October 30 to meet the goal if they don’t quite get there by the end of September. Newbies as well as fitness enthusiasts are welcome at the Jimmy Fund Fit Fest, as all classes can be tailored to any ability level. Classes include a CrossFit introduction class; Les Mills BodyAttack, a high-intensity class incorporating all different types of body-weight movements; Les Mills BodyJam, a dance-style workout class; and yoga to stretch it out at the end. Registration and breakfast begin at 8:30 a.m. and the event begins at 10 a.m.
Top fundraisers have the chance to win custom Reebok athletic footwear and a VIP tour of the Reebok facilities. But even if you’re not a champion fundraiser, you’ll still go home with a t-shirt and 40 percent off coupon for Reebok merchandise. September 29, 8:30 a.m.-1:30 p.m., Reebok Headquarters, 25 Drydock Ave., Boston, jimmyfundfitfest.org.